Due to the celebrations the day before, it was a bit of a slow start to the day by most people. 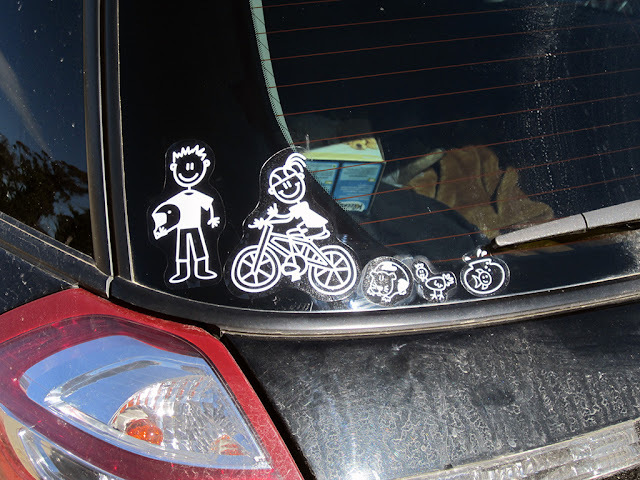 John knew how much Lisa and Ian love the “My Family” stickers, so John and Michael decorated their Subaru. 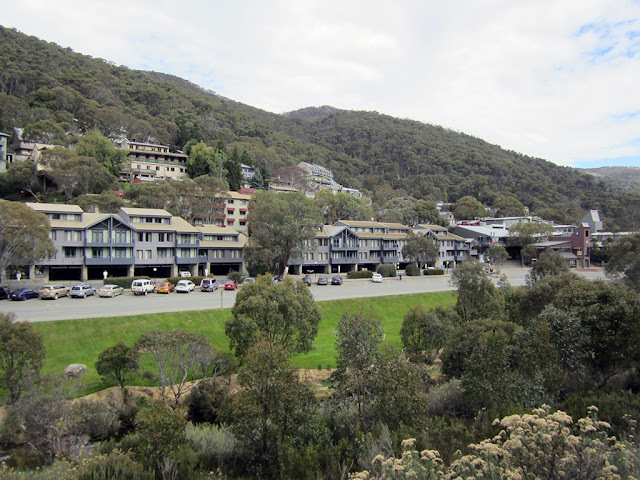 It was decided that some of the group would go to Thredbo Village for lunch and a bit of a wander around. 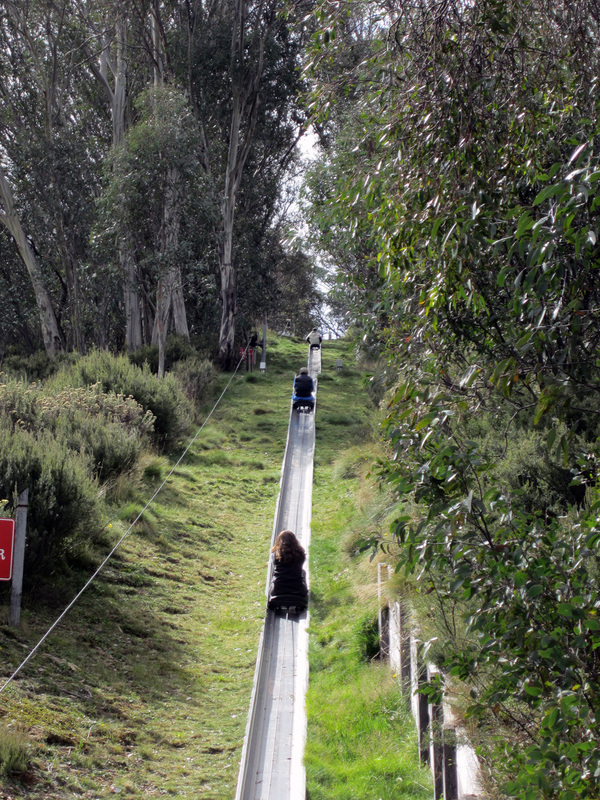 While we were there the Roulettes flew up the valley and were doing a few barrel rolls. They looked very low even in Thredbo Village so it would have been pretty impressive to seem them from on the chair lift or at the Eagles Nest restaurant. 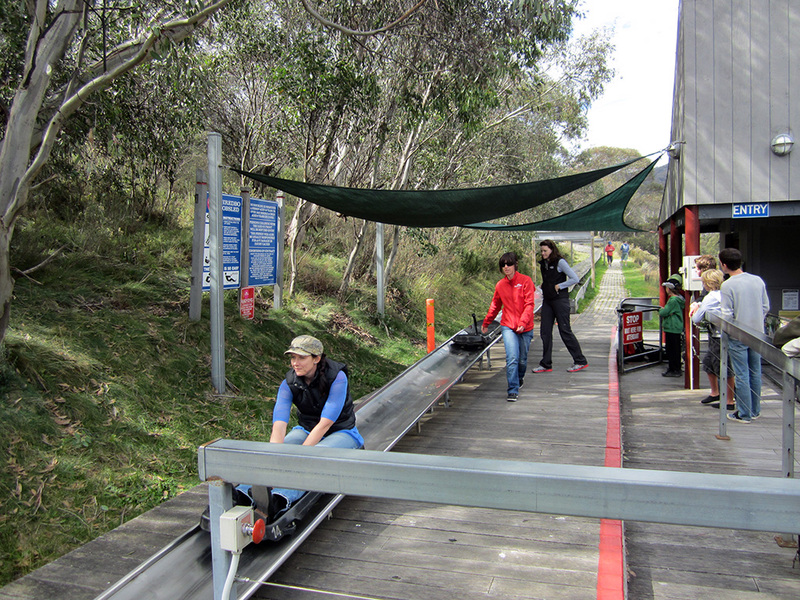 After lunch a group of us headed over to bobsled. 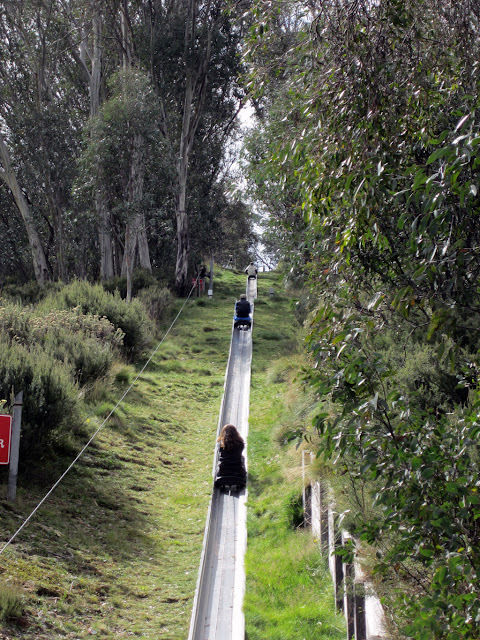 Every one had a go and had a ball. Earlier in the day Megan found a bat in their bathroom. No one could figure out how it had got into the house, but later that afternoon on dusk, it was discovered a whole colony of bats were living between a wall that backed onto Megan and Johns room. The chamfer boards on the outside had warped and they were squeezing in between them to get into the wall. 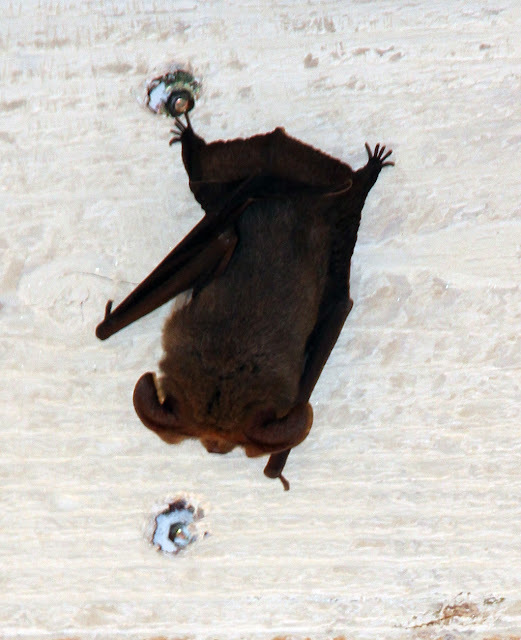 The bat in their bathroom obviously went the wrong way when trying to get out! Beer + Rum + Karaoke + Video camera = silliness captured for all eternity!! !